All up and down the eastern seaboard, temperatures are either breaking records or expected to before the end of Summer. When it only happens for a day or two, this is not a problem for most vehicles unless the radiator and the air conditioner are both running on empty. When the temperature climbs high and stays there, then a new set of problems develop, particularly for the tires on most cars. Tires work by causing friction between their surface and the road. This is what keeps them gripping pavement instead of sliding off at every turn. The heat generated from the friction is negligible, but when the Summer heat climbs high enough to melt asphalt, it can start causing problems for tires that have even the smallest cracks or other damaged. Even underinflated tires are vulnerable. Once the temperature stays high enough, long enough, the rate of damage increases rapidly. At this stage, even the friction and heat generated by short trips to the market or a party across town can cause a small cut across a sidewall to split wider and spring a slow leak. To keep your tires cool in the Summer, you need to first know everything about them when it comes to temperature. It’s all right there on the sidewall. Everyone knows how to read their tire size, but just below it or to the side is a heat rating of A, B, or C. Tires with an A rating are the most heat-resistant. That does not mean your tires are invulnerable, just that they can take higher temperatures. To completely protect them, keep these tips in mind. Maybe even print them off and keep a copy in your glove compartment. Know the correct pressure (psi). The most accurate number is on the sticker on the driver’s door jamb. If the sticker is scratched up or missing, check inside the glove compartment or the owner’s manual. If none of these sources are available, call or visit the dealership for your auto. You can find out for free. Check your tire pressure in the morning. Tires are cooler then and you get a more accurate reading. 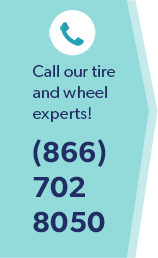 Be certain to check each tire at least once a month. Keep your tires inflated to the right number. Now that you know it, find the nearest gas station or convenience mart with an air pump. Most modern pumps even have a gauge built in the nozzle or have digital read out on the pump stand. Remember, underinflated tires generate more heat as well as bring down your MPG rating. Check for damage regularly. An undamaged tire normally loses about 1-2 psi each month. If it is more then there is some type of damage. Watch for uneven wear (for example the outside tread is almost gone while the tread closer to the inside of the wheel well is thicker), bulges, and cracks in the tread or along the sidewall. Another sign of damage is if your car drifts to one side unless you are gripping the steering wheel. Protecting your car in the summer means caring for it from top to bottom. Keeping it in the shade to protect the paint is great, but paying attention to the tires can keep you off the shoulder, changing a flat when it’s 90 or higher. Stay safe and keep cool!